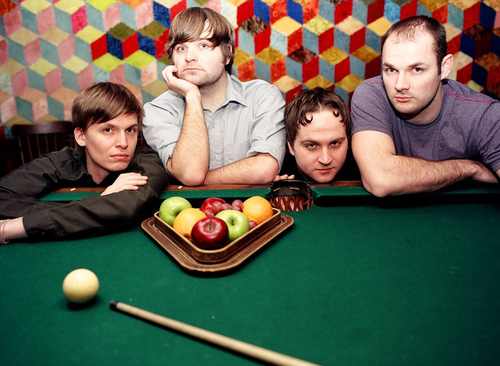 “Hello, we’re Death Cab For Cutie from Seattle,” Ben Gibbard timidly introduced his band after playing the concluding notes to “A Lack of Color”. But just as abruptly as the band began their set at Yunfeng Theatre, Ben’s introduction was suddenly overwhelmed by a wave of cheers from the adoring crowd that was seeing them play for the first time. Earlier this month, Death Cab played their first ever show in China and for a city so hungry for international acts, Death Cab’s inclusion into the JUE Festival was a perfect way to follow-up Shanghai’s recent visits from Mogwai and The Pains of Being Pure at Heart. And while the crowd wasn’t entirely that energetic throughout most of the show – perhaps influenced by the nontraditional rock venue, a smallish theatre that limited excessive jumping and dancing – it was clear that they were definitely into the show and the music being played. From that point on, it was obvious that the band had settled into a comfort zone of sorts, launching into their more well-known tracks like “You Are a Tourist” and even a solo performance of “I Will Follow You Into The Dark” that had the crowd singing and swaying along. Although the tracklist was heavy with songs from 2003’s Transatlanticism (a total of six songs! ), the band rounded out the evening by including songs from Narrow Stairs, We Have the Facts and We’re Voting Yes, and The Photo Album. Accompanied by waves of flashing lights, Ben even took a turn on an extra set of drums for an extended, heavily instrumental rendition of “We Looked Like Giants” where the band launched into a five-minute jam session. For the rest of the night, Ben alternated between playing the keyboard and the guitar, but of course, he was at his best behind the microphone, with the acoustics of the theatre and the diligence of the sound crew making his voice sound even better than on record. Those who weren’t awestruck by Ben’s stage presence and his vocal skills happily sang along, giving the theatre an extremely warm and intimate atmosphere that really complemented the music being played. After going through 21 songs in just under two hours, Ben graciously thanked the adoring crowd and the band headed off surrounded by cheers from the packed theatre that just wasn’t ready to leave yet. I haven’t heard from Hoodie Allen in a while, so it was to my surprise that I came across a new email from him today. And Hoodie was full of surprises: since the end of summer, he has been hard at work creating his first ever retail record, a brand new EP titled All American that will appear for sale on iTunes. All American will also be completely original with no samples appearing on the record, a huge change in style for a rapper that blew up the blogosphere with his catchy indie samples. For a quick preview of what’s to come, Hoodie released a video and a stream of his RJF-produced lead single “No Interruption”, which you can check out below. 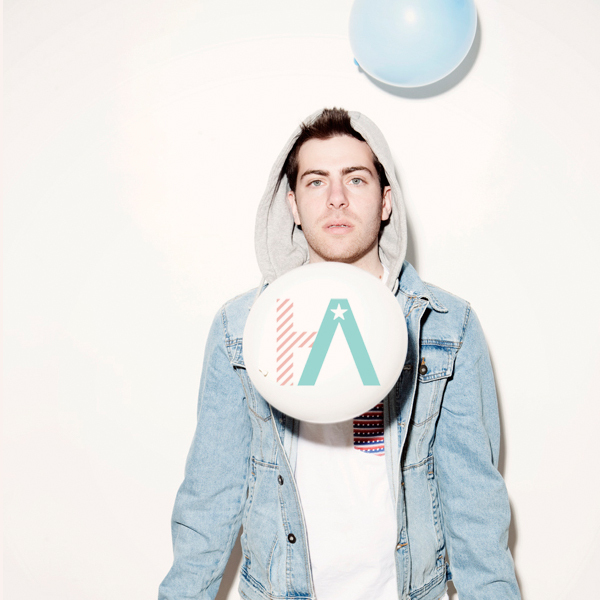 If it’s any indication of what’s to come, All American will continue with the traditional fun, laid-back sound, while allowing Hoodie a bit more artistic freedom and development. All American will be available on April 10th. 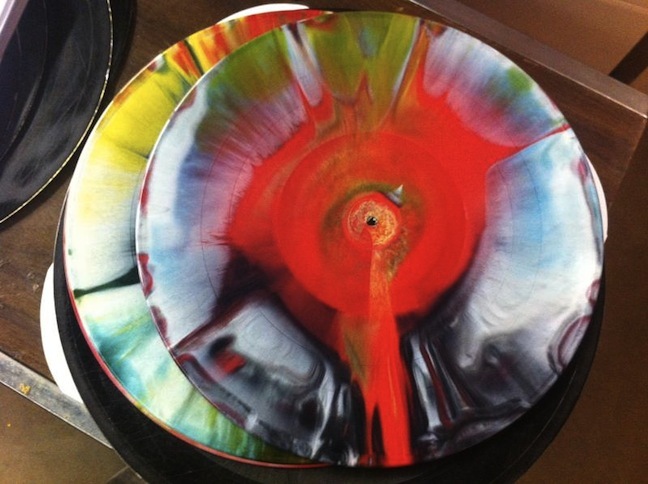 For Record Store Day this year, the Flaming Lips will be releasing a new record entitled The Flaming Lips and Heady Fwends, which houses a number of collaborations between the Lips and Tame Impala, Yoko Ono, Chris Martin of Coldplay, and even Ke$ha. Today, we get to hear the highly-anticipated collaboration track with Bon Iver. 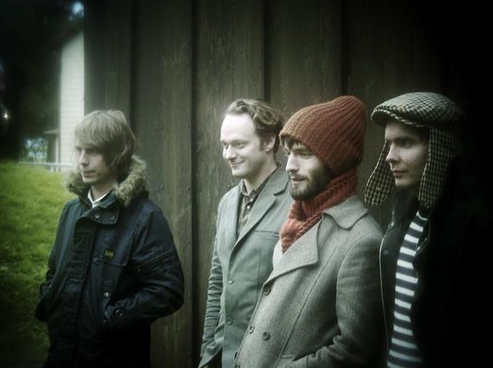 “Ashes In The Air” features the classic psychedelic Flaming Lips sound, which is then complemented by the lush falsetto of Bon Iver’s Justin Vernon, who contributes some peculiar lines about racing robot dogs. Despite that, Vernon sounds completely at home in the woozy electronic soundscape, which results in a great piece of work between two of the biggest acts in the indie rock world. To follow up last night’s report on Earl Sweatshirt joining the rest off Odd Future in Manhattan Center’s Hammerstein Ballroom, we now have a decent quality fan-shot video of the crew performing the ten-minute-long “Oldie” from The OF Tape Vol.2. 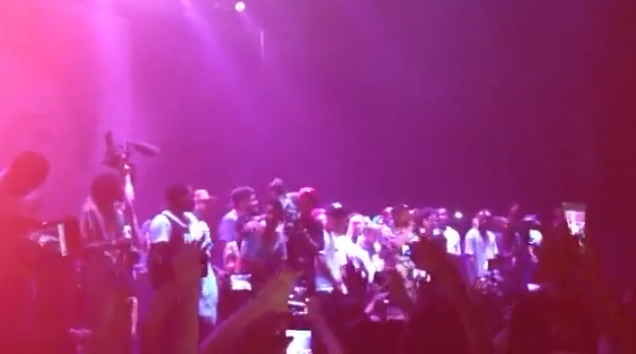 Midway through Earl’s killer verse, twenty-some Odd Future members piled onto the stage to surround Earl in support of his first major live show. Enjoy. Earl Sweatshirt is back and if you didn’t believe the original reports about his return, we now have much more concrete evidence. First off, Earl just participated in his first ever interview, sitting down with Hot 97’s Paul Rosenberg to talk about his return alongside Odd Future members Tyler and Taco. Perhaps what is even more exciting is the fact that Earl made his live debut tonight at Manhattan Center’s Hammerstein Ballroom. With the entire Odd Future crew by his side, Earl performed key cuts from his discography, including “Orange Juice”, “Assmilk”, and “Kill”. Below, you can watch the Rosenberg interview, as well as an impromptu music video for OF Tape Vol. 2‘s crew cut “Oldie” that was filmed by Lance Bangs at a photoshoot with Terry Richardson. 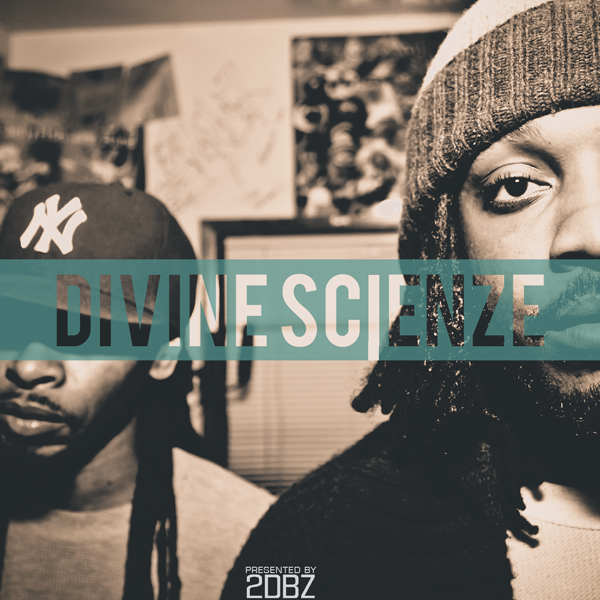 A few days back, the producer-rapper duo of King I Divine and ScienZe dropped off their collaborative mixtape Divine ScienZe for free download over at 2DopeBoyz. 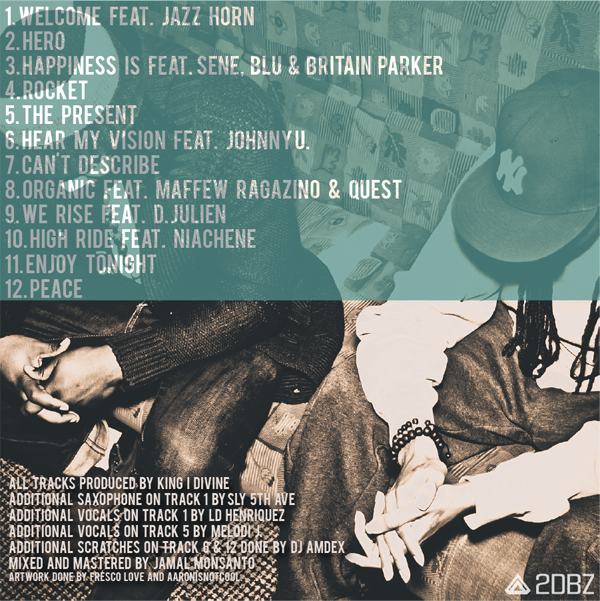 All the tracks are produced by Queens native King I Divine, who gives the entire project a unique boom-bap sound that meshes really well with ScienZe’s sharp rhymes and smooth flow. To top it all off, the duo enlisted the help of a hard-hitting supporting cast that includes features from rising artist Sene, West Coast legend Blu, and more. If you’re a fan of old school hip hop, then these two will definitely find a regular spot in your headphones. You can download the mixtape for free below and if you’re not already convinced, you can also preview two songs, one of which includes guest verses from Sene, Blu, and Britain Parker. Enjoy, if your into that kind of stuff. 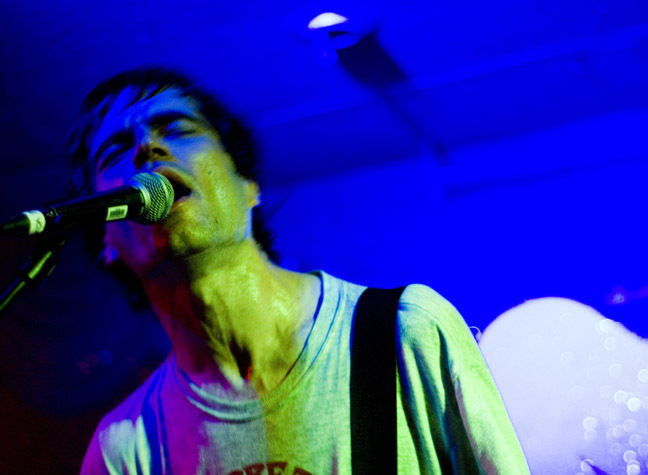 Titus Andronicus has just released a new mixtape titled Titus Andronicus LLC Mixtape Vol. 1. They posted it on their tumblr, where you can download the mixtape for free and view the tracklisting and a short description for each song. Click here to download it directly. The mixtape includes a covers, demos, live tracks, a new single, and more. 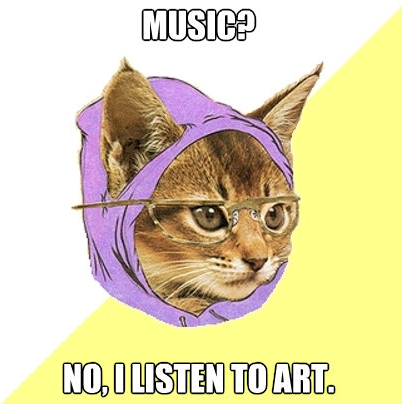 Be sure to check out the mixtape as they have been writing a lot of new material recently. The band is planning to release an album sometime later this year. The picture above is Patrick Stickles performing with the band at SXSW who recently shaved his beard. 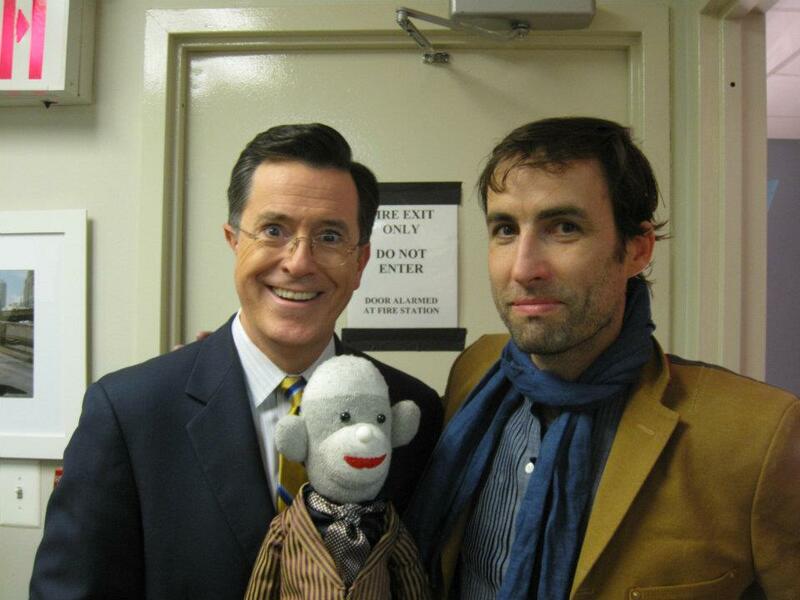 To promote his new album Break It Yourself, singer-songwriter and whistling virtuoso Andrew Bird made an appearance on Stephen Colbert’s show last night. After a hilariously one-sided chat with Colbert (well, what did you expect?) about his fanbase, his music, and more, Bird gave the audience a fantastic peformance of his new song “Eyeoneye”, as well as an exclusive web performance of “Danse Caribe”. Even while flanked by a full band, Bird handles multiple roles, switching between vocals to whistling to playing guitar to playing violin. You can watch the interview as well as the two live performances below.